From Russia and Belgium - Nekaro & Co. 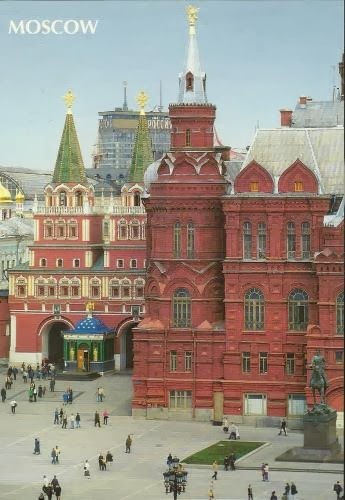 I love cards that show such beautiful architecture! This is the Basilica of the Sacred Heart. Started in 1905, construction wasn't finished until 1969! 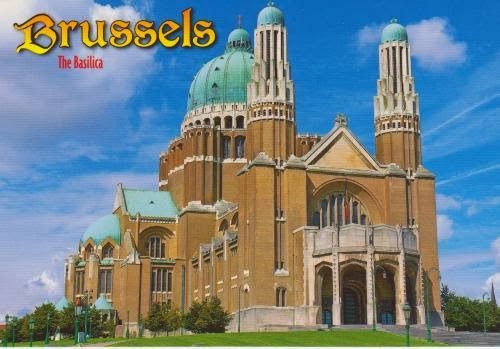 It is one of the ten largest Roman Catholic churches (by area) in the world. Again... beautiful architecture. Those are both beautiful. I love bright, colorful, fun cards.